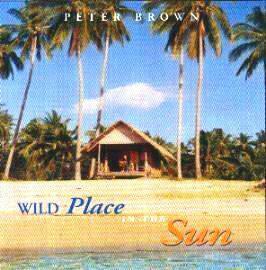 "Wild Place in the Sun" is much more consistent. There are no drums and it is "folk" from start to finish. Gavin Murley, easily the most brilliant, totally unknown musician the world over. All recorded live on 4-track. So don't expect state of the art recording quality folks. which was then relatively unspoilt. Here Gavin Murley really comes into his own and lifts the songs onto a higher realm. His fretless bass playing is very up front and is nothing short of awesome. Markiza sings backing on several songs and plays piano - except for one strange track about human rights called "Plains of Samarkand" in which Gavin overdrives his bass and Brown takes over on the black-and-whites. He also tries his hand on mandolin, slide guitar and blues harp to save the sessionists bill. The album is unapologetically FOLK - not a drum to be heard. his girlfriend is more interested in "kicks and thrills" than the security of his love.